In these days, it’s becoming increasingly difficult to make ends meet with just one source of income. Thus, more and more people are investigating the possibilities of starting their own extra-income business. Most of these part-time endeavors are started and operated from the comfort and privacy of the home. The fields of mail order selling, multi-level marketing, and in-home party sales have never been more popular. If any of these kinds of extra income producing ideas appeal to you, then you owe it to yourself to check them out. But these aren’t the only fields of endeavor you can start and operate from home, with little or no investment, and learn as you go. If you type, you can start a home-based typing service; if you have a truck or have access to a trailer, you can start a clean-up/hauling service. Simply collecting old newspapers from your neighbors can get you started in the paper recycling business. More than a few enterprising housewives have found success and fortune by starting home and/or apartment cleaning services. If you have a yard full of flowers, you can make good extra money by supplying fresh cut flowers to restaurants and offices in your area on a regular basis. You might turn a ceramics hobby into a lucrative personalized coffee mug business. What I’m saying is that in reality, there’s literally no end to the ways you can start and operate a profitable extra income business from your home. The first thing you must do, however, is some basic market research. Find out for yourself, first-hand, just how many people there are in your area who are interested in your proposed product or service, and would be “willing to stand in line and pay money for it”. This is known as defining your market and pinpointing your customers. If after checking around, talking about your idea with a whole lot of people over a period of one to three months, you get the idea that these people would be paying customers, your next effort should be directed toward the “detailing” of your business plan. The more precise and detailed your plan – covering all the bases relating to how you’ll do everything that needs to be done – the easier it’s going to be for you to attain success. Such a plan should show you start-up investment needs, your advertising plan, your production costs and procedure, your sales program, and how your time will be allocated. Too often, enthusiastic and ambitious entrepreneur jump in on an extra income project and suddenly find that the costs are beyond their abilities, and the time requirements more than they can meet. It pays to lay it all out on paper before you get involved, and the clearer you can “see” everything before you start, the better your chances for success. Here is the most important “secret” of all, relating to starting and building a profitable home-based business, so read very carefully. Regardless of what kind of business you start, you must have the capital and the available time to sustain your business through the first six months of operation. Specifically, you must not count on receiving or spending any money coming in from your business on yourself or for your bills during those first six months. All the income from your business during those first six months should be reinvested in your business in order for it to grow and reach your planned first year potential. Once you’ve passed that first six months milestone, you can set up a small monthly salary for yourself, and begin enjoying the fruits of your labor. But the first six months of operation for any business are critical, so do not plan to use any of the money your business generates for yourself during that period. If you’ve got your business plan properly organized, and have implemented the plan, you should at the end of your first year be able to begin thinking about hiring other people to alleviate some of your workload. Remember this: Starting a successful business is not a means towards either a job for yourself or a way to keep busy. It should be regarded as the beginning of an enterprise that will grow and prosper, with you as the top dog. Eventually, you’ll have other people doing all the work for you, even running the entire operation, while you vacation in the Bahamas or Hawaii and collect or receive regular income from your initial efforts. 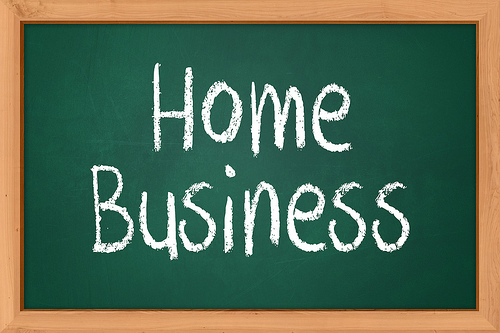 A dynamic Business Opportunity for any motivated individuals, wanting a better work life balance working your own hours, and creating a lucrative income for yourself and family, with the best home base business today. This is one goal of http://www.highachieverslifestyle.com/. Hi available p poh b 2 till now? Hi. How? Can u send the details on my email account : glendarosemalaluan@yahoo.com. Interesado po ako, Papaano po ba?